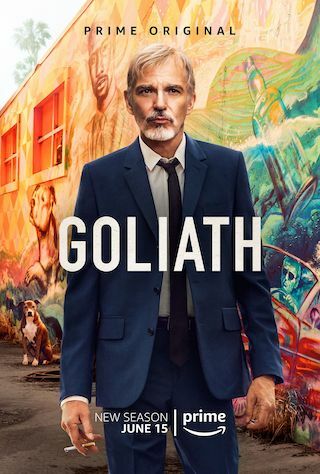 Goliath is a 60 minute scripted legal television series, which kicked off on October 14, 2016, on Amazon Prime and is broadcast every Friday at . The show is currently in its 2nd season. Amazon Prime has officially confirmed the renewal of Goliath for Season 3. The exact release date is yet to be announced so far. Sign up to track it down. Once a powerful lawyer, Billy McBride is now burned out and washed up, spending more time in a bar than a courtroom. When he reluctantly agrees to pursue a wrongful death lawsuit against the biggest client of the massive law firm he helped create, Billy and his ragtag team uncover a vast and deadly conspiracy, pitting them all in a life or death trial against the ultimate Goliath.